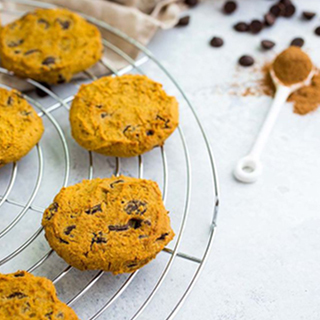 I am incredibly excited for this Paleo Pumpkin Chocolate Chip Cookie recipe for two reasons. 1. It is the very first fall-themed recipe I’m posting this season and 2. It is the very first cookie recipe EVER posted on Anya’s Eats! I’d say that’s plenty reason to celebrate, don’t you? 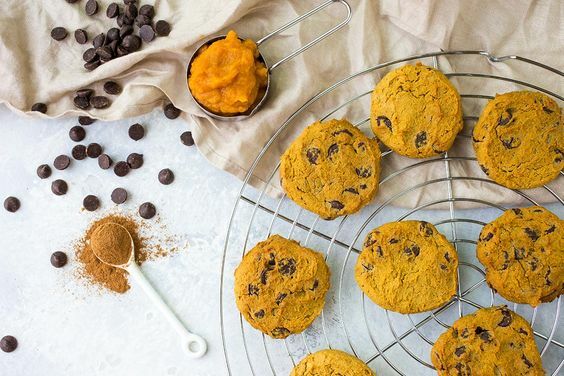 These cookies are made primarily with cassava flour, an amazing gluten and grain free flour that subs 1:1 for regular flour. I often find that most pumpkin cookie recipes are more like cake than cookies and I happen to like crunchy cookies. 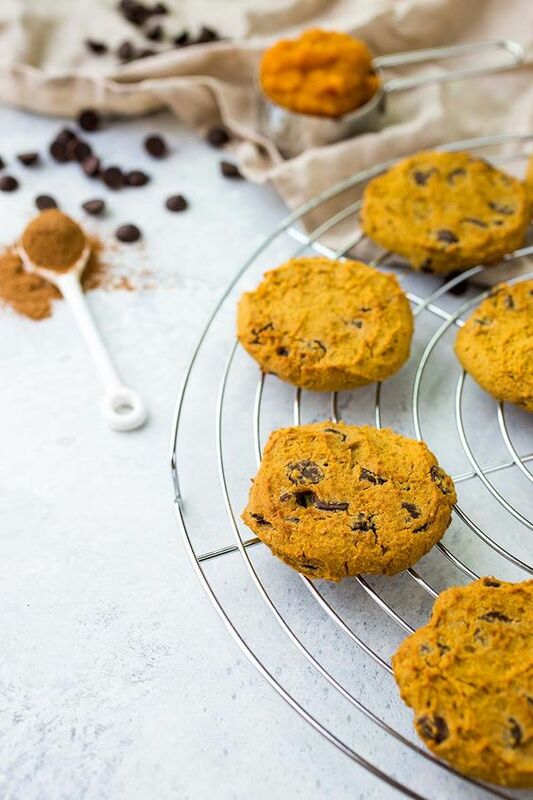 Although I wouldn’t go so far as to call these crunchy per se, they are definitely not as moist and fragile as other pumpkin cookie recipes I’ve made, which make them perfect to dip into some homemade almond milk! Combine all dry ingredients in a medium mixing bowl and whisk until well combined and no clumps remain. Melt shortening, ghee or coconut oil and add all wet ingredients to the same bowl, mixing well to combine. Add chocolate chips and mix a few more times. Using a cookie dough scooper, scoop about 15-16 balls of cookie dough onto a parchment-lined baking sheet. Wet your fingers slightly so they don't stick to the dough, and lightly press the dough down so that each cookie is about ½ inch thick or little less. The cookies will not change shape when baking. Place into pre-heated oven and cook for about 15-20 minutes until the tops and bottoms of the cookies become slightly browned. Yum! Can’t wait to try these! Am I reading correctly that there is no actual pumpkin in the recipe, just pumpkin pie spice? Could we sub cassava flour for something else? You could try, but keep in mind I haven’t tested it so I don’t know how it would turn out. Cassava is pretty unique. I love cassava flour for tortilla’s. Now I am looking forward to making these cookies for a treat for my husband. Whole30 got us started on Paleo and we are really enjoying so many benefits of healthy eating. I will update on this cookie adventure! Thank you for sharing.